Finally, brothers, pray for us, that the word of the Lord may speed ahead and be honored, as happened among you (v. 1). Some people argue that making their bed is an unnecessary task. (“I’m going to mess it up again tonight anyway.”) An argument in favour of making your bed: Studies suggest that those who regularly make their bed are happier and more productive. An argument in favour of leaving your bed unmade: Leaving a bed unmade allows dust mites to die off. So do you want to be happier and more productive or not sleep with dust mites? Earlier in the apostle Paul’s second letter to the Thessalonians, he wrote, “God chose you … to be saved” (2:13). Now he writes, “Pray for us, that the word of the Lord [i.e., the gospel] may speed ahead and be honored” (v. 1). If God has already chosen who will be saved, is it really necessary for us to evangelize (i.e., share the gospel with others)? Sometimes the gospel is accepted (“as happened among you,” v. 1b; see Acts 17:1-4), but other times it isn’t (“and that we may be delivered from wicked and evil men. For not all have faith,” v. 2; see Acts 17:5-9). So Paul wants the Thessalonians to pray for more occasions of acceptance of the gospel and fewer occasions of hostility to the gospel. The Bible presents two doctrines that appear to be incompatible: divine sovereignty and human responsibility. “[God] chose us in [Christ] before the foundation of the world” (Eph. 1:4). • “For God so loved the world, that he gave his only Son, that whoever believes in him should not perish but have eternal life” (John 3:16). “As many as were appointed to eternal life believed” (Acts 13:48). The people were “appointed to eternal life” (divine sovereignty), but they also “believed” (human responsibility). Jesus declared, “No one can come to me unless the Father who send me draws him” (John 6:44). But earlier he said, “Whoever comes to me I will never cast out” (John 6:37). Accept it for what it is, and learn to live with it. Refuse to regard the apparent inconsistency as real; put does the semblance of contradiction to the deficiency of your own understanding; think of the two principles as, not rival alternatives, but, in some way that at present you do not grasp, complementary to each other. Be careful, therefore, not to set them at loggerheads, nor to make deductions from either that would cut across the other… (p. 21). When it comes to evangelism, we must avoid two extreme views. First, we must not think, “I have to do nothing.” This view puts all the emphasis on divine sovereignty and waters down human responsibility. Second, we must not think, “I have to do everything.” This view puts all the emphasis on human responsibility and waters down divine sovereignty. From Paul’s preaching and prayer request, we can find two principles for evangelism. 1. We must evangelize, believing that any person can be saved (i.e., the gospel invitation is open to all). The invitation to salvation is genuine: “Everyone who calls on the name of the Lord will be saved” (Rom. 10:12). And evangelism is necessary: “How then will they call on him in whom they have not believed? And how are they to believe in him of whom they have never heard? And how are they to hear without someone preaching [i.e., sharing the gospel]” (Rom. 10:13). 2. We must pray for people to be saved, believing that God is sovereign. The person who prays for someone to be saved reveals that he or she believes in the sovereignty of God. Can prayer change the mind of God? No, but God can choose to use our prayers to accomplish his sovereign plan. So is evangelism up to us? It is and it isn’t. We are commanded by God to share the gospel, but only God can save people. In this is love, not that we have loved God but that he loved us and sent his Son to be the propitiation for our sins (v. 10). The word “love” has many different meanings. How does the Bible define “love”? The apostle John writes that “love is from God” (v. 7). If we want to know what love is, we should examine how God has revealed to us his love. Verses 10 begins with the words “In this is love.” In other words, “This is real love” (NLT). 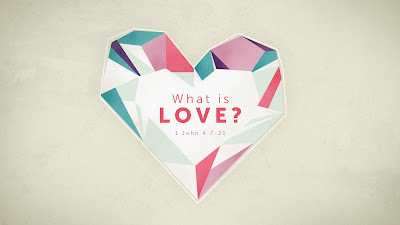 John also states that “God is love” (v. 8). That’s who he is. The death of Jesus was a public demonstration of God’s love for us: “The love of God was made manifest among us” (v. 9). How was God’s love “made manifest among us”? By the cross. God loves us so much that he sent his only Son to die for us. John emphasizes the depth of God’s love by stating that “God sent his only Son into the world” (v. 9) and that God “sent his Son to be the propitiation for our sins” (v. 10). God’s “only Son” was sent into the world “so that we might live through him” (v. 9). The Greek word for “only” is monogenes. It’s found nine times in the NT. The word is used to described the widow of Nain’s “only son” (Luke 7:12; cf. 8:42; 9:38; Heb. 11:17). Colin Kruse writes, “In each of these cases the expression is used to add poignancy to a story by highlighting that it was the person’s ‘one and only’ child who was in dire need, threatened, or had died.”  The word is found four times in the Gospel of John to describe Jesus, including 3:16: “For God so loved the world, that he gave his only Son, that whoever believes in him should not perish but have eternal life” (cf. John 1:14, 18; 3:18). God showed us he loves us by sending his Son to die in order to save us. Love is the giving of oneself to help others. Love is sacrificial. It gives. It helps. John writes, “Beloved, let us love one another” (v. 7). Love is not an option for a follower of Jesus. Loving others is something we know Christians should do. How can we more consistently show love to others? We must always remember God’s love for us. John writes, “Beloved, if God so loved us, we also ought to love one another” (v. 11). He also states, “We love because he first loved us” (v. 19). God’s amazing love moves us to love others. Love is the right motivation to obey God’s command to love others. Jesus said, “If you love me, you will keep my commandments” (John 14:15). Fear is the wrong motivation to obey. “Whoever fears has not been perfected in love” (v. 18). “Perfection in love here involves a love for God which is based upon our sense of God’s love for us, and this love relationship is what removes our fear as we face the day of judgement.”  “There is no fear in love, but [God’s] perfect love casts out fear. For fear has to do with punishment” (v. 18). Jesus said, “A new commandment I give to you, that you love one another: just as I have loved you, you also are to love one another. By this all people will know that you are my disciples, if you have love for one another” (John 13:34-35). Sometimes when people at a charity event are asked, “Why are you here today?”, they’ll often answer, “Because it makes me feel good to help others.” Our default setting is self-centeredness. We’re naturally more concerned with how other people can help us than how we can help other people. But when we act in love, we feel better. Why? Because we have been made in God’s image, and God is love. When we act like God (i.e., when we reflect his image), we feel good—because this is how we have been made to live. Did you know that every Christian should be a preacher? If you’re a Christian, you should preach daily to at least one person: yourself. We must daily preach to ourselves the gospel. When it’s difficult to give of ourselves to others, we need to remind ourselves that God loved us so much that he gave his only Son to die for us. We must keep in mind that Jesus is not the Father’s Son in the same way that Connor is my son. God is triune. The Father, Son, and Holy Spirit are eternal. The Father didn’t somehow bring the Son into existence. We must not think that it was easier for the Father to give up his Son than it would be for us to give up our son. Colin Kruse, The Letters of John, 158-59. And then the lawless one will be revealed, whom the Lord Jesus will kill with the breath of his mouth and bring to nothing by the appearance of his coming (v. 8). [This sermon was preached on the morning of Super Bowl Sunday.] Tonight is Super Bowl LI. The New England Patriots and the Atlanta Falcons will battle for football supremacy. Who will win? According to a report by Public Policy Polling, 52% of football fans think the Patriots will win, but only 27% want them to win. Biblical prophecy is often difficult to interpret. But there’s one thing that’s absolutely clear: in the end, Jesus wins! 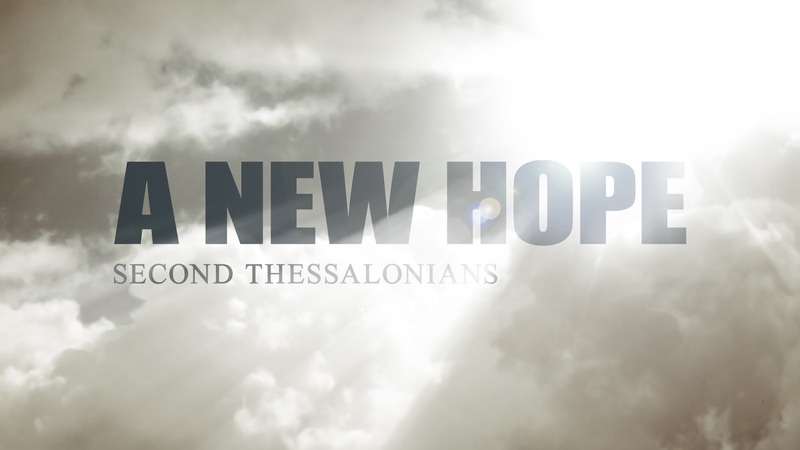 For some reason, the Thessalonians had come to believe that the day of the Lord had already arrived (v. 2). The day of the Lord will take place when Jesus returns to earth (“the coming of our Lord Jesus Christ and our being gathered together to him” v. 1; cf. 1 Thess. 4:13-18). In verse 3, Paul writes that two events must occur before the day of the Lord: (1) “the rebellion” and (2) the revelation of “the man of lawlessness.” The man of lawlessness is presented in Scripture as the Antichrist (“you have heard that antichrist is coming,” 1 John 2:18) and the “beast” of Revelation 13. The Antichrist is a future world leader who will put himself in the position of God (“proclaiming himself to be God, v. 4; cf. Dan. 11:36-37). Paul writes, “Let no one deceive you” (v. 3). The Thessalonians had been deceived. We must not believe everything we hear! We must make sure that we don’t believe any teaching that’s contrary to Scripture. For centuries, people have tried to identify the Antichrist. In the 1980s, some people thought that Mikhail Gorbachev was the Antichrist. The birth mark on his forehead was thought by some to be the mark of the beast (cf. Rev. 13:16-17). Other people thought that President Ronald Reagan was the Antichrist. Reagan’s full name was Ronald Wilson Reagan—six letters in each name…666 (cf. Rev. 13:18). Those two examples illustrate how wrong our speculations about biblical prophecy can be. What we do know is that the Antichrist will be no match for Jesus: “And then the lawless one will be revealed, whom the Lord Jesus will kill with the breath of his mouth and bring to nothing by the appearance of his coming” (v. 8). The lawless one is called “the son of destruction” (v.3), which means that he is “doomed to destruction” (NIV). Is it fair for God to send people “a strong delusion” (v. 11)? Yes, God is simply giving them what they want. They hate the truth and love breaking God’s law (“had pleasure in unrighteousness,” v. 12). They want to believe a delusion (like a person wants to believe an ugly rumour about someone they don’t like). People are responsible for their own fate. When it comes to biblical prophecy, we can commit several errors. When we went through 1 Thessalonians, I shared two errors we need to avoid: (1) not talking about biblical prophecy due to the fear of controversy; (2) making a particular interpretation of biblical prophecy a test of orthodoxy. Today I want to address a third error we must avoid: not making Jesus the focus of our study of biblical prophecy. Does anyone remember the backmasking controversy of the 1970s and 80s? Backmasking is a recording technique in which a sound or message is recorded backward onto a track. There were allegations from Christian groups that backmasking was being used for Satanic purposes by rock musicians. For example, it was claimed that when you play Led Zeppelin’s “Stairway to Heaven” backward, you can hear the message “Here’s to my sweet Satan.” After the backmasking controversy erupted, many musicians deliberately used backmasking on their songs to poke fun at it. The Christian rock group Petra used backmasking on their song “Judas’ Kiss.” When you play the song backward, you can hear the words “What’re ya lookin’ for the Devil for, when ya oughta be lookin’ for the Lord?” I think that’s a great message for those who study biblical prophecy. It’s sad that when we give more attention to a doomed Antichrist than to the victorious Christ. We must not lose sight of what biblical prophecy is all about: in the end, Jesus wins! What we believe about the future should influence how we live in the present. We should live with hope in our hearts. How would living that way affect your daily life? I never get tired of watching the final minute of Super Bowl XLIX—the Patriots versus the Seattle Seahawks. With only seconds remaining in the game, the Patriots are ahead by 4 points, but the Seahawks are on the Patriots’ 1-yard line. A Seattle touchdown and victory seem to be a foregone conclusion. The ball is hiked to the Seahawks’ quarterback. He throws the ball toward one of his receivers for the winning touchdown. Seattle wins, right? Wrong. Amazingly, the pass is intercepted by Patriots’ defender Malcolm Butler, sealing a Patriots’ Super Bowl win! As I like to say, the Butler did it! I love watching that game because I know that in the end, the Patriots win. There appears to be a connection between what Paul writes here and “the abomination of desolation” that Jesus mentioned (Matt. 24:15; cf. Dan. 11:31). Saint Augustine, The City of God, 667. “The truth to which the author refers is not some abstract concept but rather the gospel itself…” (G. L. Green, The Letters to the Thessalonians, 323). Michael W. Holmes, 1 & 2 Thessalonians, 243.